Zoroastrianism, sometimes called less correctly 'fire worshipping’, is one of the world's oldest monotheistic religions. It was founded by the Prophet Zoroaster in ancient Iran approximately 3500 years ago. The first Persian king to recognize the religion proposed by Zoroaster was Kay Vishtash, and Zoroaster's ideas spread under Darius. According to the last census there are about 25000 Zoroastrians living in Iran, many of them in central provinces like Yazd and Kerman. People of Yazd celebrate their national, local and religious occasions same other regions in the country. 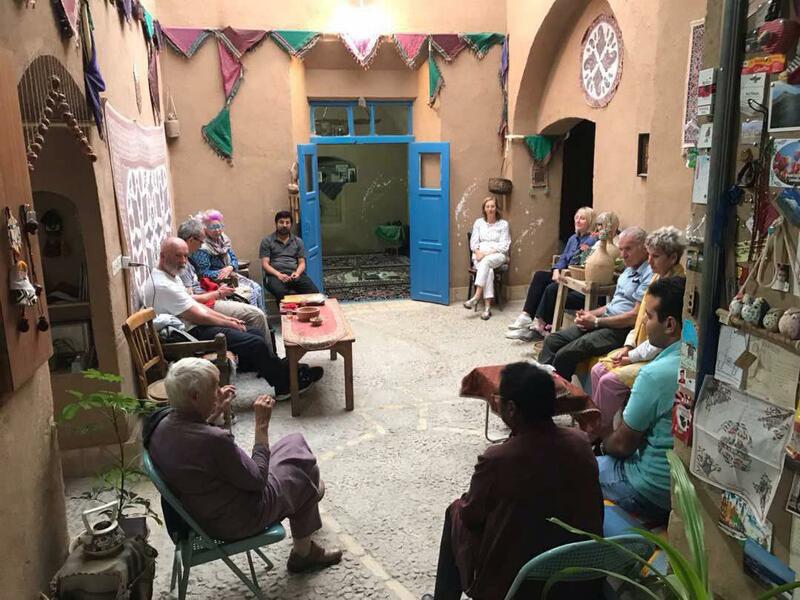 Iran's largest community of Zoroastrians are settled in Yazd more than any part of Iran who have enriched the social fascinations with their own special ceremonies and traditions. Uppersia’s well-informed tour guide, Milad, suggested our guests to have dinner in a Zoroastrian ecolodge in Taft and hear a little about Zoroastrian beliefs from a young and ambitious couple who made you feel warmly welcome.